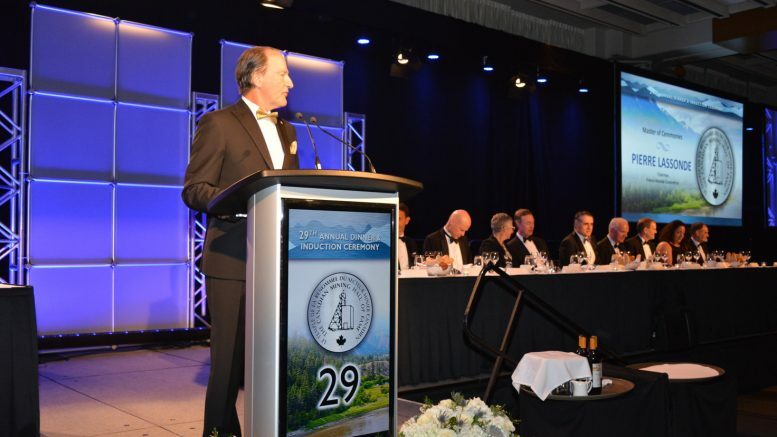 Pierre Lassonde, chairman of Franco-Nevada and master of ceremonies at the 29th annual Canadian Mining Hall of Fame induction ceremony in Toronto in January. Credit: Keith Houghton Photography. 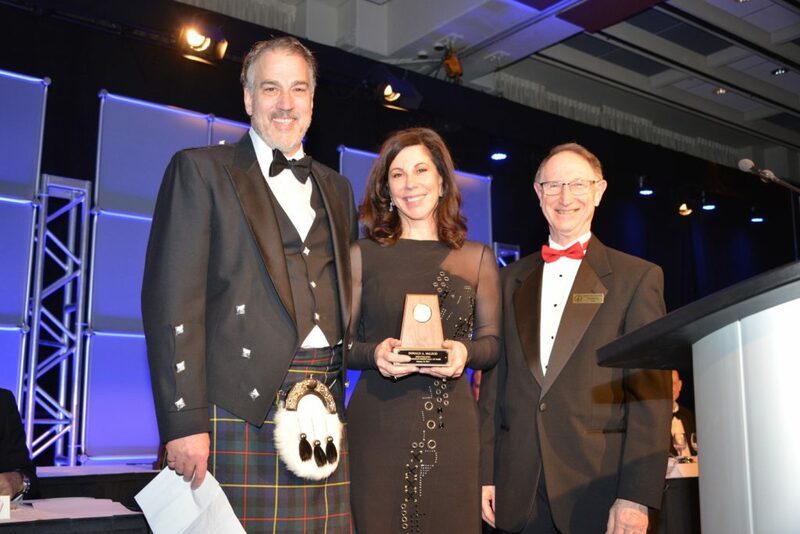 The Canadian Mining Hall of Fame (CMHF) bestowed honours on five industry trailblazers at its twenty-ninth induction ceremony in January at the Metro Toronto Convention Centre. The 2017 inductees — John Zigarlick, William S. Vaughan, Donald McLeod, James Carter and Robert McEwen — join 172 existing CMHF members. “We are here tonight to celebrate the people that make our industry innovative, creative, exciting, caring, community-minded and ethical, and we applaud our inductees who will receive the highest award you can receive in January,” Pierre Lassonde, chairman of Franco-Nevada, told the crowd to begin the evening. Lassonde, a previous CMHF inductee, has been the evening’s master of ceremonies for the last 16 years. Past inductees in attendance included Peter Bradshaw, George Cross, Graham Farquharson, Robert Friedland, John Hansuld, Bill James, Norman B. Keevil, Michael Knuckey, Gren Thomas, Mark Rebagliati, Robert Dickinson, Peter Brown, Bert Wasmund and Mackenzie Iles Watson. The CMHF also marked the passing of two inductees in 2016: Richard W. Hutchinson and David S. Robertson. The soiree, held for the first 28 years at the nearby Fairmont Royal York hotel with its smaller 800-person capacity, had a record attendance of 1,000 people. The attendees generously donated $600,000 to the Mining Matters and B.C.-based MineralsEd mining educational charities, split evenly between the two. The first inductee of the evening was John Zigarlick (1937–2011), an innovative mine-builder and company-maker, who left a lasting impression on Canada’s North by developing the world’s longest ice road and cofounding Nuna Logistics, a majority Inuit-owned mining supplier, among his other accomplishments. Rory Zigarlick, son of CMHF inductee John Zigarlick. Credit: Keith Houghton Photography. “If he put his mind to something, he was going to do it. There was no stopping him,” his son Rory Zigarlick said in a video presentation before accepting the induction on behalf of his father. Born in Winnipeg, Man., Zigarlick grew up in Uranium City, Saskatchewan. Following in his father’s footsteps he worked in a local uranium mine. After two years at the mine, Zigarlick joined the Royal Canadian Air Force and worked overseas as a military police officer. Eleven years later, he returned to the mining industry. In 1971, he got a job at Echo Bay Mines as a manager of purchasing and personnel, and rapidly ascended the corporate ladder. In 1977, he became Echo Bay’s president and CEO, after earning a degree in business administration from the Northern Alberta Institute of Technology. “My dad didn’t obtain his goals through higher education, but with vision, determination and stubbornness. And especially the ability to draw others that worked with him and around him into his ideas,” Rory said on stage. John Zigarlick, Canadian Mining Hall of Fame inductee. When Zigarlick took the reins of Echo Bay, the company’s sole asset was the nearly depleted Port Radium silver mine in the Northwest Territories. Zigarlick convinced Echo’s parent company to buy the remote Lupin high-grade gold deposit, 400 km northeast of Yellowknife. After a short underground program, he envisioned developing a mine. Lupin was built entirely with materials brought in by Hercules and Convair aircrafts, on time and on budget, in 1982. Zigarlick then took on the task of building a 568 km ice road from Tibbitt to Contwoyto to service the Lupin mine. Around 75% of this road was built over lake ice. Under his direction, Lupin became one of Canada’s top gold producers. And Echo Bay’s net worth grew from $7 million in 1979 to an astonishing $2 billion in 1992. “It was kind of amazing the way Echo Bay grew and developed into what it ended up as,” Rory said. After retiring from Echo Bay, Zigarlick cofounded Nuna Logistics with two Inuit corporations, six years before the Nunavut Territory was established. The company’s objective was to support and supply the mining industry. “Finding the property is one thing but getting to it is another. This can be difficult at times, especially in the Arctic, and when you don’t have an ocean right next to you,” Rory said. Nuna Logistics, which today has over 30 joint ventures, also took over annual construction of the old Lupin ice road, which passed near the developing diamond discoveries Ekati and Diavik, and became a lifeline to the diamond industry. Up next was William S. Vaughan (b. 1937), a geologist turned influential mining lawyer, who helped shape Canada’s mining regulations and lift the industry’s reputation. He oversaw the mining practices for several Toronto-based law firms and ranked as one of the best mining lawyers in Canada and the world. His knowledge benefitted clients involved in the resource development in more than 65 countries. CMHF inductee William S. Vaughan (left) and CMHF director Ed Thompson. Credit: Keith Houghton Photography. 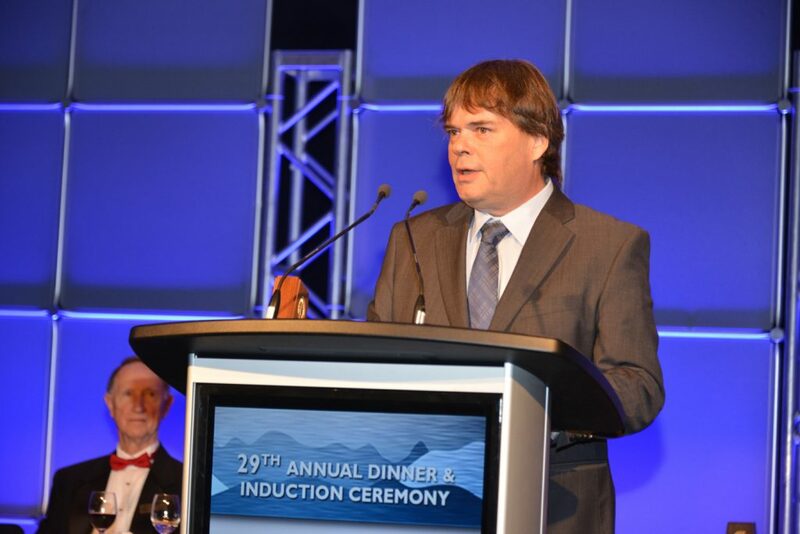 “I don’t believe that you can be a successful mining lawyer unless you really understand the science and the engineering that goes into finding and developing a mine,” Vaughan said in a video before his induction. “He rolls up his sleeves. He is out there doing the due diligence. He’s riding a mule in the mountains of Mexico to go check out a project. He’s really passionate about the projects themselves,” Michael Bourassa, a partner at law firm Fasken Martineau DuMoulin, said in the video of Vaughan. Born in Fredericton, N.B., Vaughan got his first taste of mining at the age of 15, working underground at a local tungsten mine. Fascinated by the work, Vaughan completed a bachelor’s degree in geology from the University of New Brunswick (UNB) in 1959, followed by a master’s degree in economic geology and exploration from McGill University in 1962. But an incident underground at an Inco mine in Manitoba caused Vaughan to reconsider his career choice. 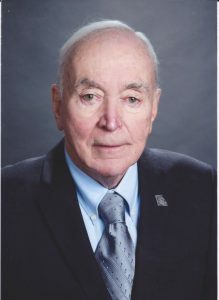 After earning a law degree from UNB in 1965, Vaughan joined Aird & Berlis and later led its Toronto-based mining group. From there, he went on to continue shaping the industry. He participated in numerous projects, including the multi-stakeholder Whitehorse Mining Initiative aimed to endorse sustainable development, and drafted the first flow-through share mining prospectus financing in Canada. After the Bre-X Minerals fiasco in 1997, Vaughan contributed to the Mining Standards Task Force Committee, whose findings laid the groundwork for the National Instrument 43-101 disclosure standards. While Vaughan supported the globalization of the Canadian mining industry, he also helped many foreign jurisdictions draft their mining policies and fiscal regimes. He helped establish the World Mine Ministers forum and authored numerous articles while serving as an informal ambassador of Canada’s mining industry. He was an enthusiastic mentor to a new generation of mining lawyers in Canada and abroad. “The great thing about the mining industry is the people who are in it,” Vaughan said at the podium. “I met a number of them — when I last looked at my contact list it was 7,428 people from around the world. The third inductee of the evening was B.C. mining icon Donald A. McLeod (b. 1928), who was born and raised in Stewart, B.C., and began his career as a pack-horse operator and miner’s helper in the 1940s, going on to become a successful mine finder, developer, and founder of the Vancouver-based Northair Group of Companies. McLeod began working in mining as a teenager, and rose through the ranks at various mines. After managing the discovery of a rich lead-zinc deposit at Pine Point, N.W.T., he moved his family to Vancouver and started his own mining company. As president of Northair Mines, he optioned a grassroots discovery near Whistler, B.C. in 1972, and brought the Brandywine mine into production 42 months later despite a politically challenging environment. Over the next seven years, the mine profitably produced more than $70 million worth of gold, silver, lead and zinc. 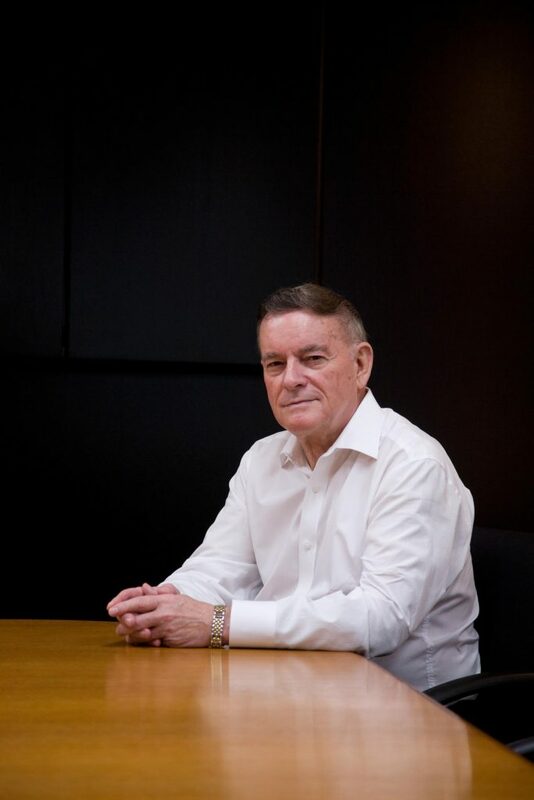 McLeod also developed the Summit gold mine and raised more than $200 million of equity for his Northair Group of Companies before retiring in 2014. In the 1980s, a Northair Group company named Newhawk Gold Mines discovered high-grade gold deposits at the Brucejack project in B.C.’s Golden Triangle region north of Stewart. Brucejack was ultimately acquired by Pretium Resources, which went on to discover the 6.9-million-ounce Valley of the Kings gold deposit slated for commercial production in 2017. Accepting CMHF induction on behalf of Donald A. McLeod, son Bruce McLeod (left) and daughter Catherine McLeod-Seltzer, with CMHF director Bill Roscoe. Credit: Keith Houghton Photography. McLeod was too frail to make the trip to the induction ceremony, but his children Bruce McLeod and Catherine McLeod-Seltzer — both with their own considerable achievements in mining — accepted the award on their father’s behalf. From the stage, Bruce Mcleod noted that upon induction, his father would be the oldest living member of the CMHF, surpassing Bill James, 88. Donald McLeod, however, was able to make an appearance at the evening via video from B.C. “I am truly honoured and humbled to be accepting this award tonight, and I’m very glad to be able to be one of the living inductees. At my age, you don’t take that for granted,” he said. He recalled writing an autobiography of his time in the industry, titled The McLeod Luck. “When I look back at what made me so lucky, it was all the wonderful people I was surrounded by, sadly many of whom have already passed,” McLeod said. “This industry is filled some of the most adventurous, passionate hard-driving men and women in the world, who have helped build a great nation, and I am proud to have known and worked with so many of them. I am also proud that so many people tell me I was a mentor who helped them forge a successful career. Throughout his 70 years in mining, McLeod has supported health and education causes, including the Mining for Miracles campaign, and St. Paul’s Hospital Foundation through the creation of the McLeod Family Professorship in Valvular Heart Disease Intervention. 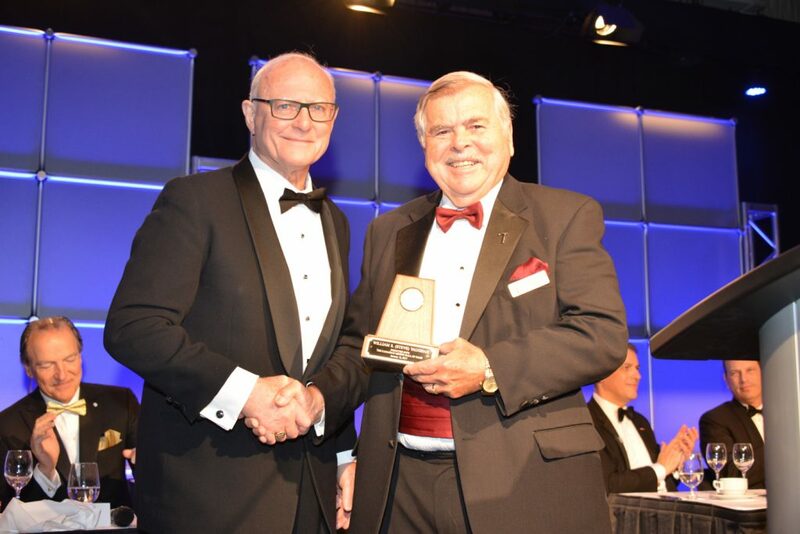 McLeod has also been named a “Mining Living Legend” by Cambridge House, and been the recipient of the Association of Mineral Exploration’s E.A. Scholz Award for excellence in mine development, and the Canadian Institute of Mining, Metallurgy and Petroleum’s Proficiency Award. The fourth inductee of the evening was engineer James E.C. Carter (b. 1950), who took his experience in iron and coal mining and brought it to the fledgling oilsands industry in northern Alberta, where he steadily rose the ranks to become president and COO of Syncrude Canada, where he drove innovation and helped grow the company into a world-leading oil producer. Carter immigrated as a child with his family from Glasgow, Scotland, to a dairy farm in Prince Edward Island. With an engineering degree from Dalhousie University in hand, Carter’s first job was with the Iron Ore Company of Canada in Labrador City. He spent a year and a half with IOC and then headed out to Alberta in 1974 to Grande Cache where he worked at a coal mine. From there Carter entered the new world of Syncrude, Fort McMurray and the oilsands. He started with Syncrude working with the truck and shovel fleet, and worked his way up to president and COO, a position he held for 10 years before retiring in 2007. James E.C. Carter, Canadian Mining Hall of Fame inductee. Credit: Keith Houghton Photography. During his term as president from 1997 to 2007, Syncrude’s production rose from approximately 200,000 barrels to 350,000 barrels per day, while its market capitalization grew from $3 billion to approximately $45 billion. Carter helped develop surface-mining technologies that allowed oilsands operations to grow to the scale and efficiency they enjoy today. One of these technologies was developing a hydro transport system, which allows ore to be crushed and sent through a pipeline, starting with a prototype that allowed the pumping of 5,000 tonnes an hour through an 18-inch pipeline. Carter also worked with suppliers to repeatedly surpass the limits of truck and shovel sizes. Bigger shovels always meant bigger trucks, which were doubled to 170 tonnes and then to 400 tonnes in size. Carter has also been a strong and long-time advocate of Aboriginal hiring and business development, and helped create the Towards Sustainable Mining guidance tool for corporate social responsibility launched by the Mining Association of Canada. His commitment to education is shown in his part in rescuing the University of Alberta’s Mining Engineering program, which only had 3 or 4 students left when administrators were tempted to shut it down. Carter helped add graduate and research program to the department, which today is graduating 80 mining engineers a year and is one of the largest mining engineering programs in the world. He also helped launch an innovative apprenticeship program for skilled trades that has helped thousands of young people launch their careers. “When we’re active in careers and do the things we do, we don’t often have a line of sight to nights such as this,” Carter said as he accepted his award on stage. “Instead we tend to find ourselves more focused on the shorter term as we’re going through a turbulent time or we’re finding ways to fix a problem or improve a process. Eventually there’s a point of reckoning, and that’s when we learn about the legacy of our work. 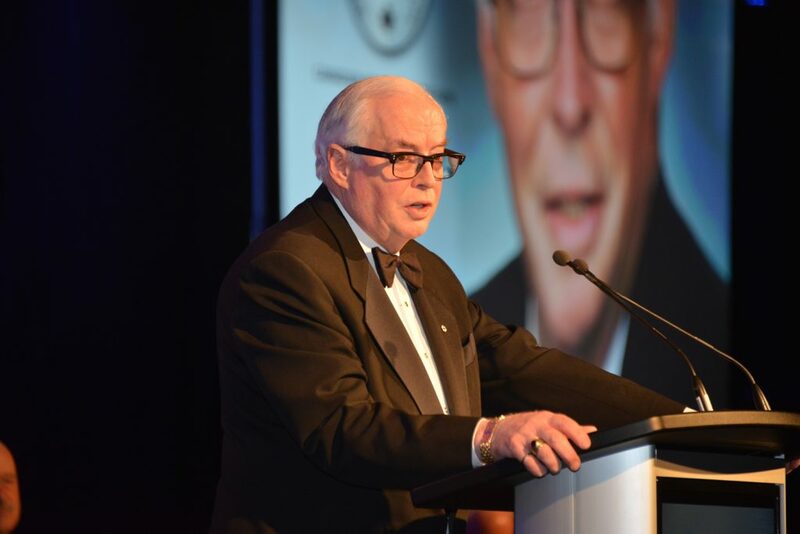 “That’s a roundabout way for me to say how humbled I am to be admitted to the Canadian Mining Hall of Fame and to share this honour with so many successful builders in Canada’s mining industry,” he said. “My 28-year career with Syncrude really was a thrilling journey — absolutely fantastic. And so it was for the many, many other talented and dedicated people I had the pleasure of working with each and every single day. It’s gratifying to know that our work built a great Canadian success story in Syncrude and the oilsands industry. The industry has been so significant in contributing to the prosperity of our country, because it really is a story of grit and determination combined with a lot of innovation and ingenuity. Carter has received many awards for his achievements, including three honorary doctorates, an induction into the Canadian Petroleum Hall of Fame, the Queen’s Diamond Jubilee Medal in 2012, and the Order of Canada in 2014. The final inductee of the evening was Rob McEwen (b. 1950), a “rockstar” of Canadian mining and a well-known entrepreneur, gold bug and philanthropist. McEwen built Goldcorp into one of the world’s top gold producers with a $17.8-billion market capitalization today, through strategic and innovative thinking. Born and raised in Toronto, McEwen’s first exposure to mining was a summer job at Inco in Sudbury, Ont., where he was offered a scholarship for university. “And I said, ‘that’s great, thanks so much for your support. But mining isn’t in my future.’ And today I look at it and think that it’s so ironic,” McEwen recalled during a tribute video. CMHF inductee Rob McEwen (left) and master of ceremonies Pierre Lassonde. Credit: Keith Houghton Photography. McEwen received a B.A. from the University of Western Ontario in 1973. After completing an MBA from York University in 1978, he travelled the world for six months in an old army truck. When he returned, he worked briefly at Merrill Lynch before joining his father Donald’s investment firm. His father played an important role in shaping McEwen’s perspective on life. When Donald was told he would not be able to walk after returning from World War II, he fought to regain the function of his legs. “I look at obstacles and every time I look at them, I’m going, ‘this seems to pale in comparison to what he faced,’” McEwen said. In the 1980s, McEwen took control of Goldcorp, then a gold fund. In 1989, he started restructuring the company and spearheaded the acquisition of Dickinson Mines and its aging gold mine in northern Ontario’s Red Lake camp. “Rob is a real innovator and he is a very creative thinker. And the expression ‘outside of the box’ fits him really well,” Don Tapscott, the Tapscott Group’s CEO, said in the video. “I have a confession: I like to push the edge of the envelope and I don’t accept the status quo,” McEwen, dressed in a kilt tuxedo, told the audience during his acceptance speech. “As I built Goldcorp, I constantly asked why and encouraged a search for alternatives.” After a $10-million exploration program in the mid-1990s, Goldcorp found a high-grade discovery at Red Lake. At the same time, the company faced pushback from the union, resulting in an ugly strike. McEwen even had to bulletproof the windows of his house as a precaution following a death threat. In the spirit of innovation, McEwen created the Goldcorp Challenge in 2000, where he put 50 years of geological data from the Red Lake property online and offered $575,000 in prizes to anyone who could find more gold. Over 1,000 people from 80 countries participated and found 50 new targets, of which 80% yielded gold resources valued at $6 billion. Between 1997 and 2001, the Red Lake mine went from an annual 50,000 oz. producer to a 500,000 oz. producer. Cash costs fell from $360 to $60 per ounce. After Goldcorp’s $2.4-billion merger with Wheaton River Minerals in 2005, McEwen stepped back from the company to focus on junior mining. His current focus is McEwen Mining, where he owns 25% of the company, and takes no salary or bonuses. His success has allowed him and his wife Cheryl to donate $50 million to various causes, including opening the McEwen Centre of Regenerative Medicine in Toronto and the McEwen School of Architecture in Sudbury. Before leaving the stage, McEwen urged the audience to fight to simplify the regulations around reporting financials so they could be readily understood and didn’t waste valuable time. With files from the Canadian Mining Hall of Fame. — The Northern Miner is a founding sponsor of the Hall of Fame, along with the Canadian Institute of Mining, Metallurgy and Petroleum, the Mining Association of Canada and the Prospectors & Developers Association of Canada. For more information on the hall of fame and how to make a nomination, please visit www.mininghalloffame.ca. 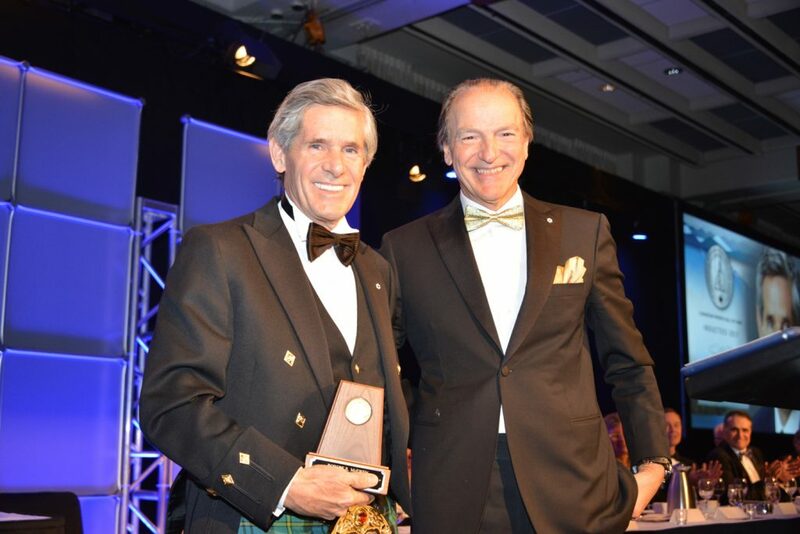 1 Comment on "Canadian Mining Hall of Fame hails five industry leaders: Zigarlick, Vaughan, McLeod, Carter and McEwen"